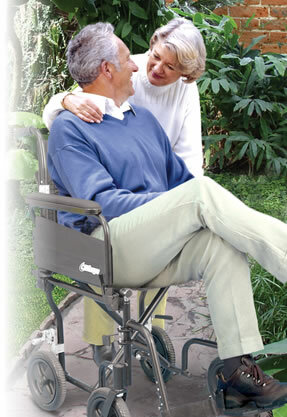 The Airgo® Comfort-Plus™ transport chair has more security and comfort enhancing features than ever before. Flip-back detachable arms make it easier to transfer in and out, or simply get closer to a table. And, added side panels help protect from bumps and bangs along the way. 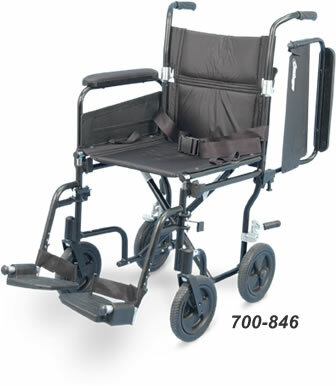 Anatomically correct armrest height along with heel loops on the easy-adjust swing-away footrests make it even more secure and comfortable to sit in. Comfort-grip™ wheels provide shock absorption, better brake performance, and they’re easier to clean. 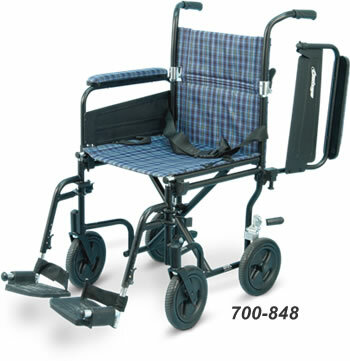 With large 12” rear wheels, ergo-form handgrips, and our patented Swing n’ Lock footrests.